The booming Scotch whisky business will show continued growth for the next five years at least, according to research commissioned by Vinexpo, the world’s leading wine and spirits exhibition. The Vinexpo forecast complements encouraging news from the Scotch Whisky Association, which reveals that exports rose by both value and volume in 2016. Based on its own data commissioned from IWSR, the international trade show reveals that global Scotch whisky exports will growth year-on-year, reaching 93.8 million 9l cases by 2020. 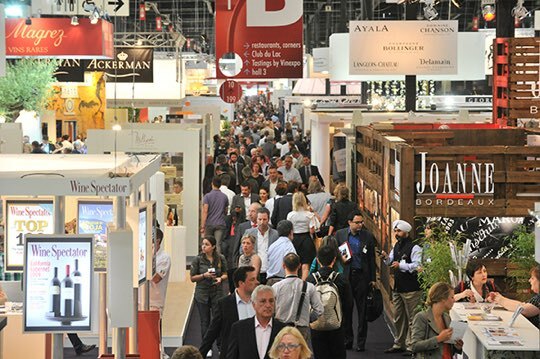 This year Vinexpo forecasts world sales will hit 87.7 million cases. With world sales rising, Scotch whisky businesses exhibiting at the show explained why the Bordeaux-based exhibition – June 18 to June 21 - is so important. While growth is forecast to not be uniform due to slow downs in North America, Russia and Australasia, strong sales in Asia and Latin America will more than compensate. The Asia Pacific region will see sales rise from 14.6 million cases this year to 15.2 million cases in 2018 while combined Latin and North American sales will hit 25.5 million cases in 2018, up from 25.1 million. Europe is, and will remain, the world’s biggest market for Scotch whisky. Sales are forecast to climb to 35.8 million cases this year and to reach 36.2 million cases in 2018. Meanwhile, the growing popularity of higher-priced malt Scotch whisky over blended Scotch, albeit from a smaller base, is helping to boost Scotch whisky globally. The trend to malt whisky will continue to take market share from blended premium Scotch over the five year period to 2020, the report forecasts . Scotch Whisky and US Whiskey are forecast to be the best performing international spirits categories between 2016 and 2020. Guillaume Deglise, CEO of Vinexpo, says: “Spirits brands have always been an integral part of Vinexpo because of the international character of the exhibition. With global spirits sales growing at 1.4% a year we foresee increased buyer interest from Asia and Latin America in Bordeaux this June”. Mark Newton, commercial director of Whyte and Mackay Private Label says: “We first exhibited at Vinexpo in 2015 as part of a series of trade show activations. The show offered us excellent exposure and opportunities to connect with an international audience of buyers. In particularly, we established some good leads from markets such as Russia, Africa, China and Australasia, as well as Europe and the Middle East. Graham says that among the range of blends displayed, Glasgow Whisky will be showing a single malt called Speymhor, which is offered in a wide range of ages. He adds,: “We always make good contacts. Both Vinexpo Bordeaux and Vinexpo Hong Kong are very worthwhile.” As for business, his company has just started shipping Scotch whisky to China from a contact made at Vinexpo Hong Kong last May.